Do you have a keen eye for a lie? Or do you just think that you do? A while ago I came across the website of someone who not only claimed to have a keen eye for a lie, but could prove it with scientific data. I found the website fascinating for a while, suspended my disbelief and accepted their version of the truth… it cost me nothing to do so, so why not? Then something changed… something which bothered me and continued to bother me. Yet I continued to be fascinated, but it was a different type of fascination, one which touched upon something else with which I was fascinated at that time. The truth is a moveable feast and sometimes it is an unpalatable dish. Just because we think someone is lying, does not mean that they are. Just because we think someone is telling the truth, doesn’t mean that they are. If our pants caught on fire when we lied… that truth serum would give all of us burns. 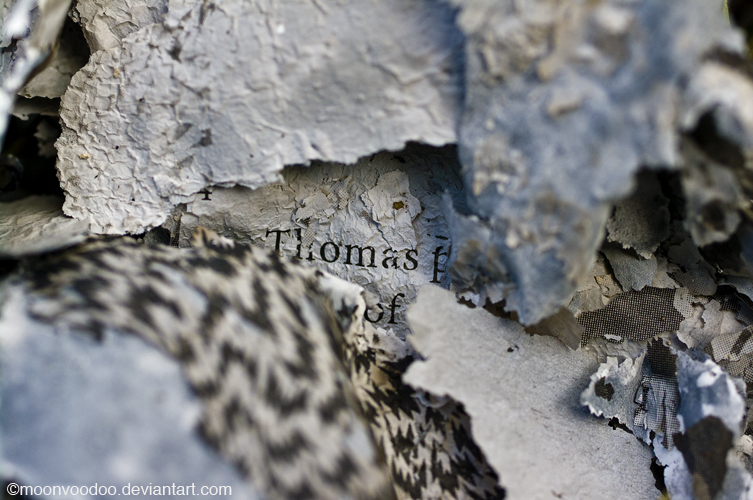 No idea who Thomas is or why his words are now ashes. My neighbour had a bonfire, and this is all that was left of it… so my mind spun a little story. A lie known as imagination. Unfortunately this is not a foolproof lie detecting system. Liars’ pants do not often, if ever, catch on fire, and if they did, we’d all suffer burns. We all lie, some more than others, and there is an endless variation of lies, from itty bitty white lies to big fat whoppers, from creative fiction to autobiographical memories, from self-deception to manipulation, and so on into infinity… if such a thing exists.